At Broad Lane Land Rovers we love Land Rovers – and Range Rovers but nothing is perfect. The classic Range Rover styling is back in vogue (or should that be Vogue SE?) 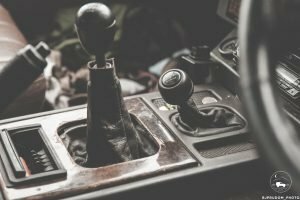 but anyone used to a more modern vehicle is left wanting the power and refinement that advances in technology have provided. The obvious answer is to join the power, reliability and tuning potential of the modern running gear and join it to the simplicity and great looks of the Classic Range Rover. The Td5 nestles beautifully in the Range Rover’s engine bay. Seen here in Dan’s second conversion. At the 2018 Kelmarsh Land Rover show we revealed our Td5 Engine conversions for Range Rover Classic and Discovery 1 models. The show was the realisation of a dream that started in late 2015 for Dan at Broad Lane Land Rovers. By mid 2016 we had a Td5 fitted and running in the first classic we converted (the second in the UK that we know of). 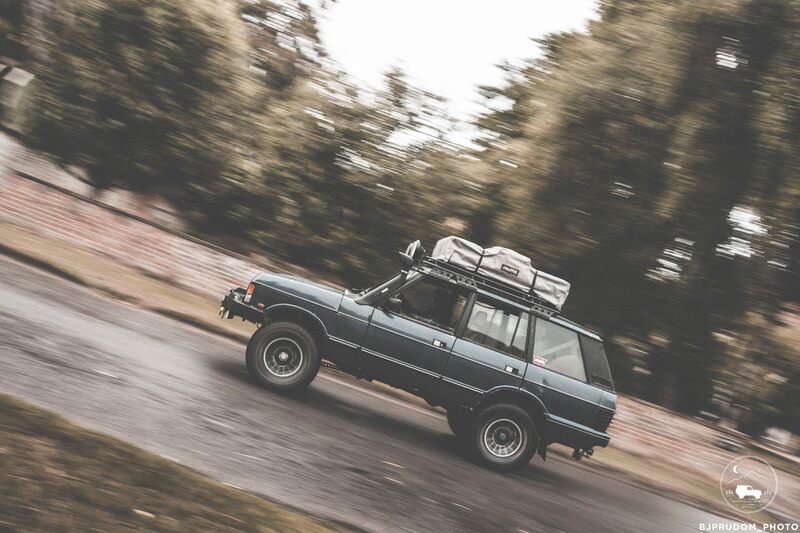 Since then we’ve completed the conversion on another Range Rover and we’ve been piling on the miles to prove the versatility of the drive line modifications. We are now confident enough to offer drive-in drive-out engine conversions to you. Prices can be hard to estimate due to the number of different base vehicles available but please fill out the form below and we will try our best to get a personalised quote across to you. The Td5 is loved by many. It’s light, torquey and has massive tuning potentials. It’s great for the conversion into the range rover. Look at the pictures above at how well it fits into the engine bay. Standard hoses (Boost and radiator). Blow a hose offroading? It’s a standard Land Rover Item. Bolts right up – no adaptor plates for your gearbox. Standard clutch and flywheel. Nothing conversion specific. Standard Land Rover Engine – great for insurance. All the benefits of computer controlled engine. Want slower throttle response when in Low Range for more control? You got it! In a nut shell. All of it or some of it. It’s up to you. Want to have a go yourself? Sure go for it. We can do just parts of the conversion to keep costs down. For example if you wanted us to just do the wiring or the fuel system and leave the rest to you, that’s fine by us. If you would like more information on Td5 converting your pride and joy please get in touch with the form below or give us a ring. Would you supply a donor Td5 or like us to source one? Beautiful pictures of Dan’s Range Rover courtesy of BJ Prudom Photography.